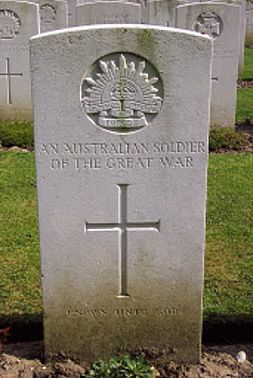 with all the information from this web site and locations of Australian Burials. Also follow @anzacsif on Twitter for reminders of the events detailed here. If you are planning on visiting the Australian battelfields of northern France we recommend the tours provided by Colin Gillard of www.anzac-tours.com. June 28, 1914 - Arch Duke Franz Ferdinand, heir to the throne of Austria- Hungary and his wife, were assassinated in Sarajevo the capital of Bosnia. August 4, 1914 - Germany invades Belgium in plans to encircle and cut off Paris. Doing so they move through Belgium and northern France. The invasion of Belgium causes England to declare war on Germany. August 12, 1914 - 100,000 troops of the British Expeditionary Force ( BEF ) are rushed to France. They are deployed in the North of France and Belgium ( near Ypres ). They stop the German advance at Mons and Le Cateau. All sides are now forced to dig in on what became known as the the Western Front. It ran from the North Sea, at the port of Nieuport Belgium, 800 kilometres south to Switzerland. The cost of these encounters was horrific. The British lost 2,368 officers and 55,787 men in the first battle of Ypres. Victoria Cross awarded to 9 Australians during the Gallipoli campaign. December 20, 1915 - At 4.10am last Australian leaves Gallipoli. Commander in Chief of British Expeditionary Force, Sir John French, replaced by General Douglas Haig. After escaping the horrors of Gallipoli, the Anzac troops were redeployed to France to fight the Germans. The only units not sent to the Western European front were the light horse which remain in the Middle East. By July 1916 there were more than 90,000 Australians on the Western Front, another 90,000 training in England while about 25,000 remained in the Middle East.